To a certain extent, plumbing services are similar for both your home or business. Both residential and commercial plumbing offer a lot of the same services. However, commercial plumbing repair and installation can involve much larger properties, which might require a more complicated solution. For commercial plumbing services, you need to consider all the differences. You might own a restaurant that needs regular grease trap cleaning. For that type of work, you need someone who knows how to remove waste material and has the right materials to do so. New commercial projects and repairs can be costly, which is why we offer our customers the highest level of quality at the most affordable price. Prior to starting any job, we make sure our customers know exactly what to expect without any hidden costs. Commercial plumbing requires a team of experts who understand how to complete the work correctly the first time. Some of our plumbing projects require expensive commercial equipment and you need a professional HVAC company who can handle the work. When it comes to plumbing installation and repair, you can be confident that you’re receiving high-quality plumbing services with Oliver. Our team of experienced technicians will make sure that every job, no matter how big or small, is completed the right way. No matter how large or small your business is, you need a commercial plumber who is licensed and insured. At Oliver, we take this side of the business very seriously for all of our plumbing repairs and installs. If you need immediate repair, our highly skilled technicians will locate the clog, leak or other water-related issue and repair it as quickly as possible. Our commercial plumbing services don’t end when the repair is done or the installation is complete. Our plumbing maintenance plans will ensure that all of your plumbing components will continue running at top performance. 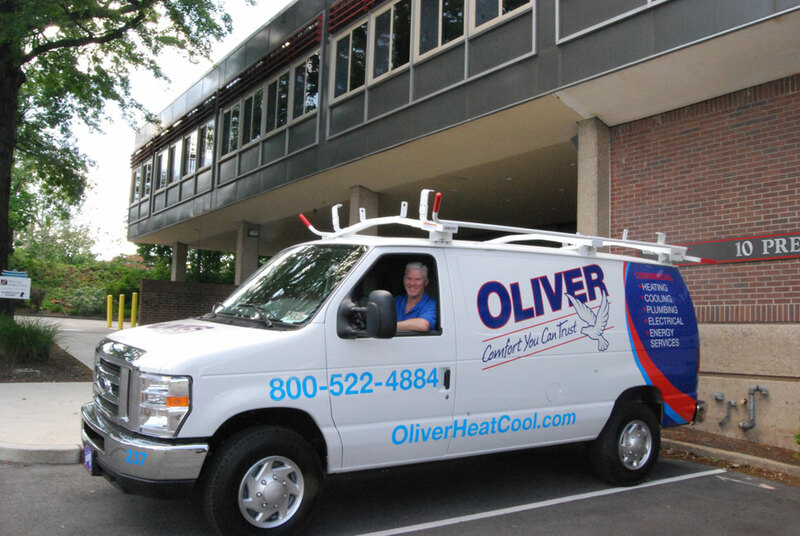 Whether you need an emergency repair or considering your next plumbing project, you can trust the professionals at Oliver. With a tremendous amount of experience and continued education, our plumbing technicians can get the job done right the first time. If you’re need assistance or want to discuss an upcoming commercial project, contact us today and let us take care of the work.